We're sorry, reservation times are not available online for a party of this size on the selected day. Please call us at 440-886-6242 and we will see if we can accommodate your party. For parties greater than 8, please contact us at 440-886-6242 for assistance with your reservation. Please be sure to include your Guest Type (required by Stancato's). Newsletter: By selecting any of the following options, you agree to receive communications from Stancato's. We do not share your information with any 3rd parties. You can withdraw your consent at any time. Stay personally connected to Stancato's with your free preferences profile. You'll have convenient access to Stancato's's news, promos and special events! And Stancato's can get to know you better with automated communication. 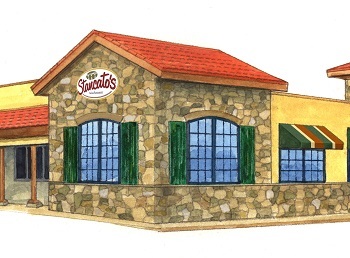 Stancato's has been serving Northeast Ohio for three generations with its continued Italian traditions of meeting customer's needs. We are still family owned, focused and dedicated to Quality, Value and Service. From the very start our passion has been The Taste You'll Remember! Steeped in Old World Tradition and time-honored family values, our family has been proudly serving pizza, pasta and classic Italian recipes. Our culinary artistry has been awarded too many times to count. Most recently, we were chosen as “The Best Italian Restaurant in Cleveland” by Fox 8. That honor was preceded by multiple “Taste of Cleveland” awards for our Shrimp Italiano and a prestigious Emeril Lagasse award for our Mushroom Ravioli served in a Tomato Basil Lobster Cream Sauce just to name a few.